"Dodgy" Appraisals Are Back? Send in the Whistleblowers! "Dodgy" Appraisals Make Comeback? Send in the Whistleblowers! “Dodgy” Appraisals Make Comeback? Send in the Whistleblowers! The Wall Street Journal recently ran a story titled “Dodgy Home Appraisals Make a Comeback.” We have seen this scam before. before the ink isn’t even dry on the last taxpayer bailout of Wall Street, the banks are back and ready for another run at the public trough. This time, however, we hope whistleblowers will step in quickly and shut down the feeding frenzy. Inflated appraisals are a huge problem for both homeowners and taxpayers. In an effort to earn more fees and commissions, banks often pressure appraisers to inflate the value of the property being purchased. If the appraisal isn’t high enough, the loan won’t meet the underwriting guidelines of the FHA, Fannie Mae and Freddie Mac. Since almost all residential mortgages are backed by the government, Fannie or Freddie, those guidelines matter. Appraisers that boost the value of the property may think they are helping home buyers but they are not. They are only helping the banks. 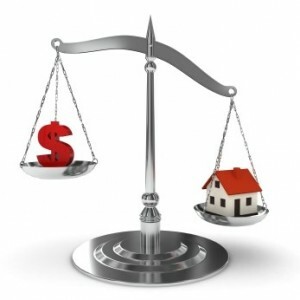 Most homeowners we speak with are interested in knowing what the property is really worth. No one wants to pay too much for something, especially the largest purchase of their life. Inflated appraisals also hurt taxpayers because if the loan goes into default, the properties are ultimately sold and overvalued appraisals inevitably mean the property fetches less than the loan amount at a forced sale. Taxpayers pick up that tab. How bad is the problem? The Journal article says approximately 1 in 7 appraisals performed between 2011 through early 2014 inflated home values by 20% or more. The paper also says that about 40% of appraisers surveyed between September 15th and November 7th felt pressured to inflate home values. These figures are staggering. If that news isn’t bad enough, the Journal says the problems are getting worse. Inevitably, it isn’t the home buyers who are pressuring the appraisers. It is the lenders who receive a commission and fees from each loan closed. Missing from the Journal article is the real culprit behind this mess. It is the banks themselves. Since they pay their loan officers on a commission basis, human nature and greed leads many loan officers to try to close as many loans as possible. The same institutional problems that resulted in the 2008 financial crisis have never been addressed. Congress stepped and said that loan officers couldn’t be paid on the basis of the terms of the loans but didn’t address the larger question of paying loan officers based on the size of the loan or the number of loans closed. Regulators are beginning to take notice and that means great opportunities for whistleblowers. Congress enacted the Financial Institutions Reform, Recovery and Enforcement Act (FIRREA) after the savings and loan crisis in the 1980’s. That law includes a provision that pays whistleblowers up to $1.6 million for information concerning actions that place a federally insured bank at risk. The rationale is simple; Congress doesn’t want to see more banks fail. Banks that do risky or illegal things are more likely to go under. We think this presents an opportunity for whistleblowers with inside information about fraudulent or so-called “dodgy” appraisals. Lenders that are pressuring appraisers to fudge valuations are making questionable loans and that puts the bank at risk. An even greater opportunity for whistleblowers can be found in the Civil War federal False Claims Act. That law allows whistleblowers to keep a portion of whatever money is collected by the government from wrongdoers. Since the law includes treble damages provisions, whistleblowers can earn millions. This year the government paid out $435,000,000.00 to whistleblowers. If you have information about banks or appraisers being pressured into inflating appraisals, contact us. We are one of the largest whistleblower law firms in the United States concentrating in lender liability cases. To date, we have filed several, billion dollar cases. While not all cases are that large, each case is just as important to us. Whistleblowers are the new American heroes. They are the first line of defense in the fight against fraud. Using the false claims act, they can help put an end to fraud and get paid for their efforts.